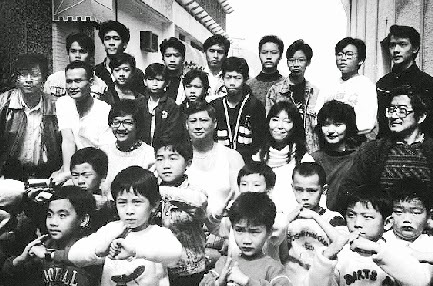 A lovely account of youth spent in the China Drama Academy Peking Opera school, based on the experiences of Sammo Hung, Jackie Chan, Yuen Biao, Corey Yuen and the other members of the Seven Little Fortunes performing troupe that grew up to dominate Hong Kong Cinema from the late 70s through the mid-90s (and beyond). Sammo himself plays their teacher, Yu Jim-yuen (“Yu Ho” in the film) tough (hitting the kids with a stick is his preferred method of punishment) but sentimental and adorably awkward at times. In a sweetly romantic subplot, Sammo walks all over the island looking for a birthday cake for Cheng Pei-pei, a fellow teacher he’s sweet on. Each of the interactions between these two kung fu movie icons is gold, and with nary a punch or kick between them. The film is somewhat unexpectedly effective at conveying the double outsider status of the students: not only are many of them immigrants to Hong Kong (the master himself is from Peking) but their devotion to a dying artform, and the anti-modern schooling methods that make them great at it (most of the kids are essentially illiterate) doubly separate them from the quickly Westernizing world around them. The film even takes the time to explore the world of Shaw Brothers stunt men, with Lam Ching-ying as Sammo’s old friend, trying to get by, who takes one blow to the head too many. We and the young students witness his on-set breakdown, a scene made horrifying as much by the fact that we know what these kids are going to spend their lives doing as it is by Lam’s harrowing performance. I like to think that the scene of Jackie Chan (known throughout as “Big Nose”) standing on a railing serenading his teacher on the eve of the school’s closure served as an inspiration for the end of Dead Poets Society. There’s an odd Mobius effect whenever Sammo the actor is talking to Sammo the character, we’re watching an older man constantly in the presence of his younger self, knowing that this kid will grow up to be this actor, making this movie about this kid who will grow up to be this actor. 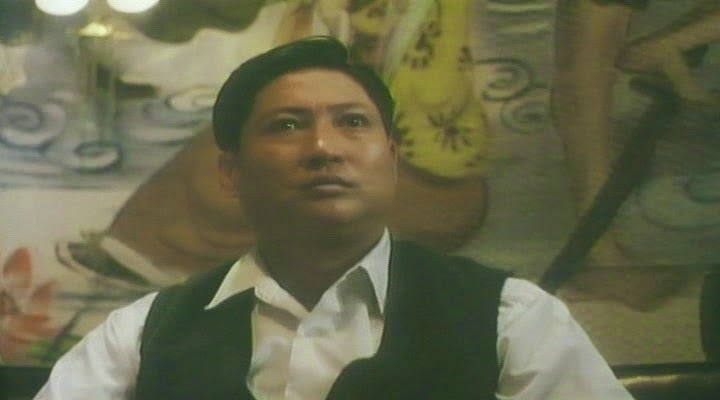 Sammo’s performance is brilliant regardless (he won the Hong Kong Film Award for Best Actor), but that extra element makes the movie all the more poignant. Also he uses a turtle to prop up his bed, a position which said turtle appears perfectly happy to occupy for years and years. This is the first of only three movies directed by Alex Law, who previously co-wrote the very solid Chow Yun-fat-Cherie Chung melodrama An Autumn’s Tale, which was directed by Mabel Cheung, who co-wrote Painted Faces with Alex Law.